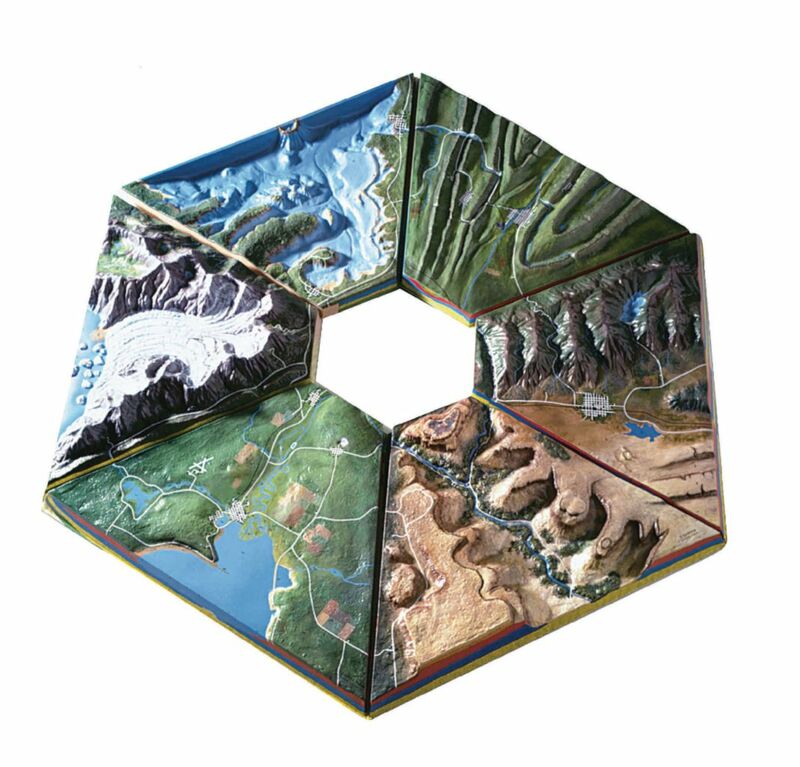 In the Geological Landscape Model Set, eight different, fully formed plastic landform pieces join together into one hexagon-shaped model. Each section represents one type of terrain: a coastal plain, coastline, canyon, fault-block mountains, folded mountains, glaciers, and a two-piece volcano. Together the models detail over 100 features, which are numbered to correspond with an identification key in the study guide. Subsurface features relate to their corresponding landforms on the surface, and manmade formations, such as highways and airports, are identified as well. It includes one 20-page student lab book that tests students on landform features, outlines activities, and poses questions about geography’s social and economic influences. It's overall size is 3 x 3'. The size of each segment is 17 x 11½ x 1".